Recently the U.S. Preventive Services Task Force (USPSTF) issued a recommendation against routine daily supplementation with vitamin D and calcium in most circumstances. They conclude that there is adequate evidence demonstrating the taking 400 units of vitamin D and 1,000 mg of calcium does not prevent fractures in postmenopausal women. In addition, they note that the aforementioned supplementation does cause an increase in kidney stones and, therefore, is associated with harm. 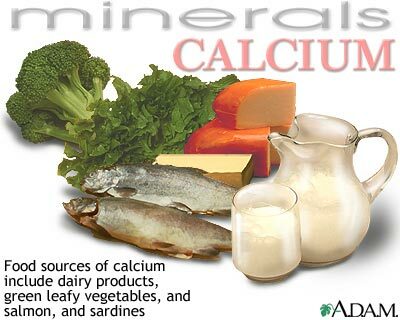 It is unclear whether higher doses of vitamin D and calcium prevent fractures in men and postmenopausal women. Oddly, vitamin D supplementation is effective in preventing falls in community-dwelling adults aged 65 or older who are at risk for falls. The USPSTF does recommend vitamin D for this group. Although the routine use of vitamin D and calcium supplements have been called into question the need for adequate levels of vitamin D in the body remains a constant. Those who lack enough vitamin D suffer from inadequate bone formation and, in addition, lack the beneficial effects of vitamin D on muscle strength and balance. Obtaining vitamin D from dietary sources is best, just as we find that all vitamins are most effective when obtained from dietary sources. Good sources of vitamin D include: fatty fish and fortified foods, such as milk, yogurt and orange juice. For individuals at risk for vitamin D deficiency supplementation is essential. This group would include the chronically ill, patients with intestinal malabsorption, pregnant women and those being evaluated for osteoporosis. For now, the best approach might be to measure vitamin D levels in individuals at risk for vitamin D deficiency, including those mentioned above, older women, and women with risk factors for osteoporosis, and use vitamin D supplementation to bring the levels to normal. Risk factors for osteoporosis include bone fracture, a family history of fractures or osteoporosis, smoking, excess alcohol consumption, malabsorption, the use of certain medications, sedentary life style and small body frame.